Q: Do you have emergency calls ? Q: Do you service residential and commercial tanks ? Q: How often do you service your tanks? Q: What happens when your bi-weekly service gives you an extra service within a month? Are there extra charges? Q: Do you handel sickness and cures? Q: Do you make water tests on regular visits? Q: Do you make regular water changes? Q: Do you vacuum gravel and change filters? Q: Do you bleach tank contents? Q: Do you do maintenance on alligator and turtle tanks? Q: Do you require a license to do maintenance on alligator tanks? Q​​​​​​​​​​​​​​​: Do you service Mississippi areas? Q: Do you set-up new aquariums and fish tanks? 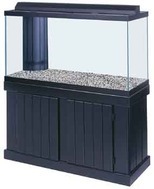 Q: Do you supply aquarium supplies like filters and pumps? A: We accept all major credit cards,cash and company checks. Q: Do you do after hours services for commercial customers? Q: How does a UV sterilizer work? Q:What colors can dye my pond? Q: Do you offer algae control for ponds? Q: Do you do maintenance and cleaning on fountains and waterfalls?